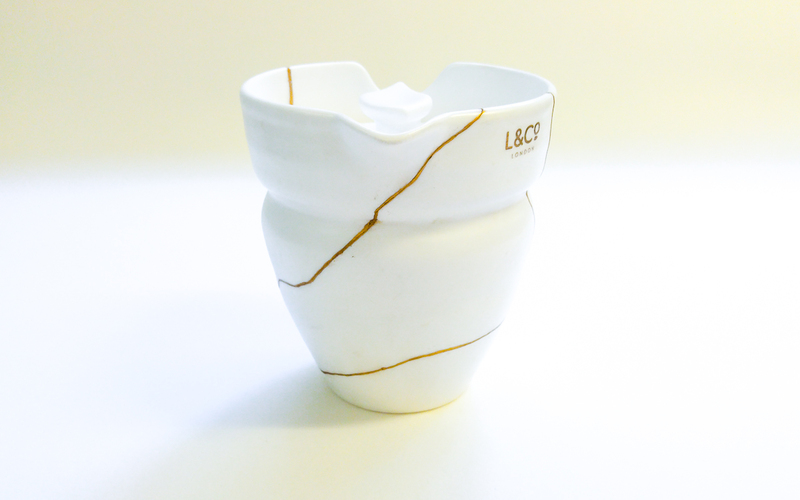 Kintsugi is the Japanese art of repairing in gold. When a beautiful object breaks, it’s repaired with real gold hilighting along the cracks. The object takes on a new beauty and is enjoyed into the future. 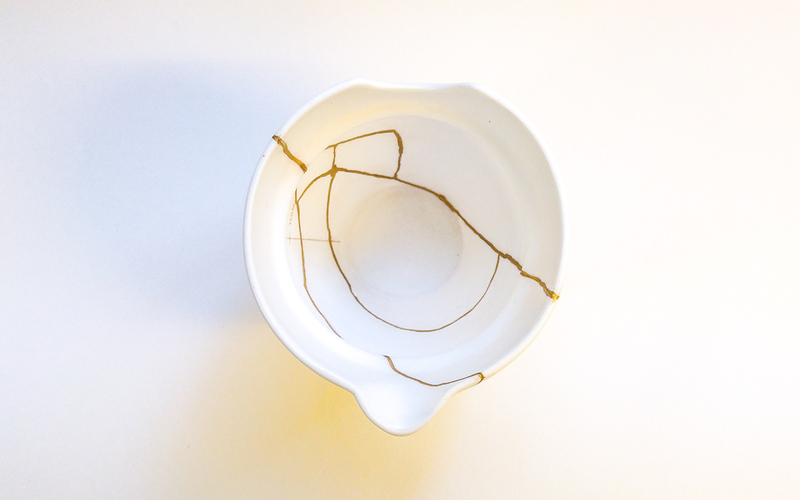 One of our Auroras broke in transit, so we’ve had it repaired with kintsugi; our very first kintsugi repair. The cracks have been repaired by hand and embellished with 24 carat gold. Contact us if you’d like to by this one.